What happens when a practitioner of Western medicine gets magnetically drawn towards the mystic and mystifying world of Ayurveda and Yoga? In Dr. Prakash Kalmadi’s case, it leads to the evolution of KARE Foundation, a centre for holistic health that imbibes the spirituality and philosophy of Indian sciences combine them with western medicinal precepts, with a vision for a healthy way of life. Sprightly at 63, simple and suave with a subtle sense of humour, Dr. Kalmadi is a man who has reinvented his own life and now inspires people towards health and wellness. His belief in Ayurveda, yoga and healthy eating stems from the powerful impact these have had on his own life. 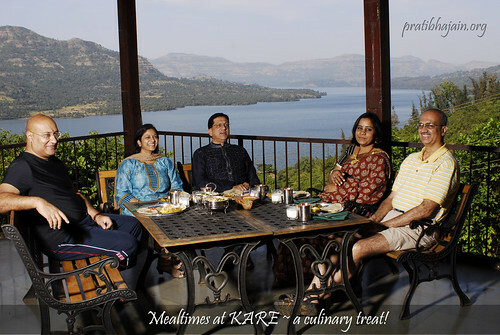 His KARE Ayurveda and Yoga Retreat – a back-to-nature, rejuvenation centre tucked away in the mystic Sahyadri range, overlooking the serene waters of Mulshi lake, near Pune – is built on four firm pillars of wellbeing: meditation, Ayurveda, Yoga and the right diet. The aim is to restore balance in mind, body and soul in order to ensure holistic health. Back in 2006, when I first met him, I was instantly impressed with his simple and straightforward approach to life. He had invited Jigyasa Giri and myself to visit KARE and create a cookbook with the simple and tasty recipes from their kitchen. Our visit entailed interesting and detailed conversations with Dr. Kalmadi and his team, and Sukham Ayu – the Ayurvedic cookbook was born in 2008. Thus, it was but natural for me to think of featuring him in this column as someone who has made a significant breakthrough in popularizing the notion of healthy food as tasty food. Dr Kalmadi, can we start with your childhood and family? I was born in May 1951 in Pune. My parents are South Kanara Brahmins, also known as Udipi Brahmins, and my father was an allopathic doctor who ran his own dispensary. He was my inspiration and that is perhaps why I entered the medical field. 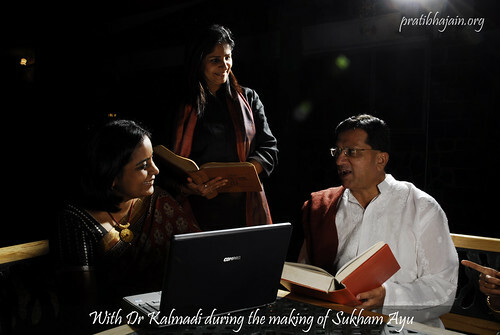 Before we move into your journey towards Ayurveda, tell us about your education and medical background. I did my MBBS from KMC (Kasturba Medical College), Manipal. I did my internship in KEM Hospital, Pune and then joined my father’s dispensary for my medical practice. I was a general practitioner for almost 25 years. Looking back, I think that there has to be some correlation to my father’s passing away in 1996. Around 1997-98, I joined a few clubs, played lots of golf, but also started smoking and drinking quite heavily. I became overweight and suffered from bronchitis. It was a downslide. I consulted other doctors as well, but my condition deteriorated by the day. Ironically, one of my own patients saw my condition and recommended that I meet Dr. Nair, who was a famous Ayurvedic doctor from Palghat in Kerala. 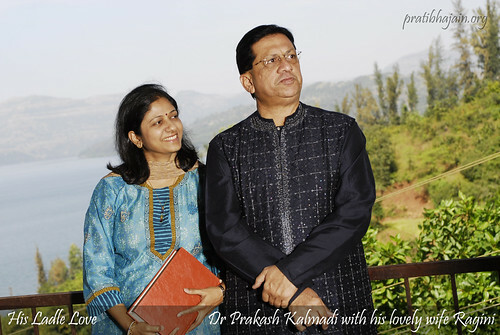 Dr Nair was a consultant at an Ayurvedic hospital and visited Pune once a month. I met him and he immediately started me on Ayurvedic treatment and detoxification. Within the next 10 days, I felt much better. It just changed my entire point of view about medicine and healing. Is that when you gave up smoking and drinking? No, I had given both up when my health was steadily deteriorating. When you learn to sacrifice something, the transformation is bound to happen. When you become determined to help yourself, the path opens up. I believe that is how I happened to first meet Dr. Nair and then my beloved Guru, BKS Iyengar. That is so inspiring to hear. So what did you learn from these two stalwarts? I went to Dr. Nair’s CNS Chikitsalaya in Kerala for observing and understand the science of Ayurveda. By the way, I had also dreamt of starting a health farm for a long time. For a while, I was torn between Naturopathy and Ayurveda. When I returned from Kerala, my goals became crystal clear. When I met Iyengar Guruji, it was instant bonding with him, what I call a soul connection. I learnt yoga from him and practiced under his very gaze. It is obvious that life’s events were leading you towards this rejuvenation centre! Absolutely right! In 1991, I bought a small farm house at Mulshi, near Pune. At that time, I used to dabble in real estate. But the place was magical and beckoned me. Slowly, I bought more and more land over there until finally I decided to establish an Ayurvedic rejuvenation centre. That is how KARE was born. It is indeed an amazing place – the treatments, yoga sessions and how can I not mention the delicious food, the primary reason for this interview! The main credit for that goes to my wife, Ragini and Jaswandi, one of the first dieticians at Kare. Ragini was extremely encouraging, she believed in my plans and took over the food aspect at KARE. She researched and painstakingly worked with the chefs to create new and balanced menus. What about you? Have you always been interested in cooking? Oh, I was never allowed into the kitchen – either by my mother or my wife. But out of my own interest, I joined the Ayurvedic cooking course in Koregaon Park, Pune. I think it was the year 1998, a year before I started Kare. I firmly believe without proper diet medicine is of no use and with proper diet one may not need medicine at all! I think what makes the experience special for your guests and patients is the amazingly tasty food. Whenever I visited any health centre, I realized that health is given so much emphasis but the taste of food is compromised. I met foreigners who told me that they were enjoying the treatments but stayed hungry. I was always of the view that health and taste can go hand in hand. How can you heal without eating the right foods happily? Eating food has to be a pleasurable, nurturing experience. It has to please all your senses. I think that is the core philosophy of the kitchen at KARE. Between Jaswanti, Ragini and myself, we worked on making Ayurvedic eating not just a healthy way of life but also a pleasurable satisfying experience. All of this has been captured well in “Sukham Ayu”. How does one balance between avoidance and over indulgence? The secret mantra is by simply understanding the Ayurvedic principle of moderation. Not too much nor too little, neither bland nor spicy, and a blend of all the rasa in a meal – that is the magical formula. Our guests at KARE love the food and are always asking us for food demonstrations and recipes. So is Kare an Ayurvedic retreat? 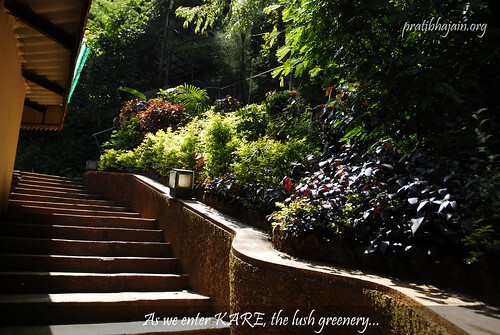 KARE is a unique blend of traditional Kerala therapies, Iyengar medical yoga and Ayurvedic diet. This is aided by a highly qualified team of doctors, therapists, nutritionists and paramedics to ensure the best treatments. It is indeed a dream come true for me and propels me towards greater goals and excellence. First published in December 2014 in Harmony – the Indian magazine for silvers for the column – ‘His Ladle Love’. A series about men who experience the joy of cooking and can weild a deft ladle in the kitchen. Part-2 of this post is the recipe of Lentil & Spinach Soopa, a light and healthy Ayurvedic soup. The Centre not only offers ayurvedic treatment, but has also integrated it with facilities of radiotherapy, chemotherapy, oncosurgery, and oncopathalogy.